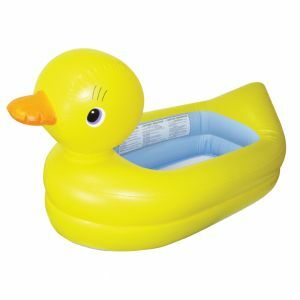 The baby tub that doesn't get you in hot water. 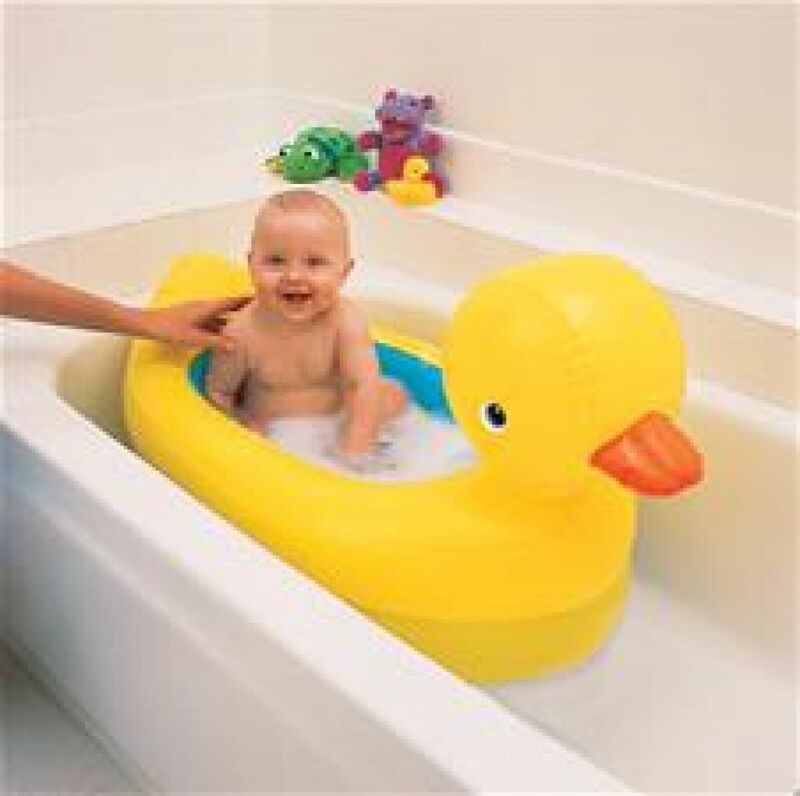 Parents can be sure the bath water is just right for baby without constant testing and guessing. This award-winning inflatable tub has a special White Hot dot that turns white when the water is too hot, then turns blue when it's just right. The adorable ducky tub has a contoured headrest and is fully padded for babys total comfort. Textured bottom so baby won't slip. Can be used on the counter or in the tub. Great for travel - deflates and folds easily.